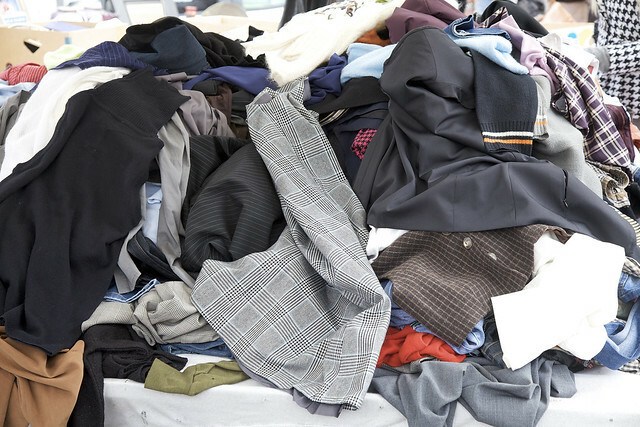 Virginia Tech researchers are examining the factors that drive U.S. exports of used clothing and other worn textiles. Funding from USDA’s National Institute of Food and Agriculture supported this study. According to Marjorie Norton, professor of apparel, housing, and resource management at Virginia Tech, exporting used clothing and textiles is extremely valuable to low- and middle-income countries where non-agricultural jobs are scarce. A USAID report published in 2017 reported that the secondhand clothing industry accounted for 355,000 jobs in five East African countries, generating total income of more than $250 million. The United States is the world leader in exporting used textiles, accounting for more than 40 percent annually. Helping raise income abroad also helps at home, Norton said. As consumer incomes rise in low-income and middle-income countries, those countries expand their food imports from the United States, benefitting farmers and food processors here. Other stateside benefits include employing 55,000-70,000 people in trucking and port operations and in organizations that collect, sort, bale, and export the goods. In a case of addition through subtraction, exporting used textiles also benefits the environment. Rather than ending up as waste in American landfills, exported textiles are used abroad. According to the U.S. Environmental Protection Agency, 32 percent of the 12.4 million tons of textile waste generated in 2013 was recovered for export. This recovery has contributed to a 20 percent drop in total waste tonnage deposited in U.S. landfills. Information from this study will help inform future business and policy decisions by providing details on factors that drive U.S. used clothing and textile exports. Great program but where can I find out where I can take used textiles for international export, in the Raleigh NC area? @John E Gadsby - Unfortunately, there is no system in place for individuals to earmark specific donations overseas destinations. People generally make donations to local charities or for-profit used-goods retailers. They sell what they can locally – usually about 20 percent – and sell the rest to textile recycling companies. These companies then determine if they will export the material (about 45 percent) or convert it to recycled material, such as mattress bedding or absorbent cloth. A good source of information on textile recycling is the Secondary Materials and Recycled Textiles Association, which is the trade association of textile recycling companies and related organizations.